How do I add another website/store to the dashboard? 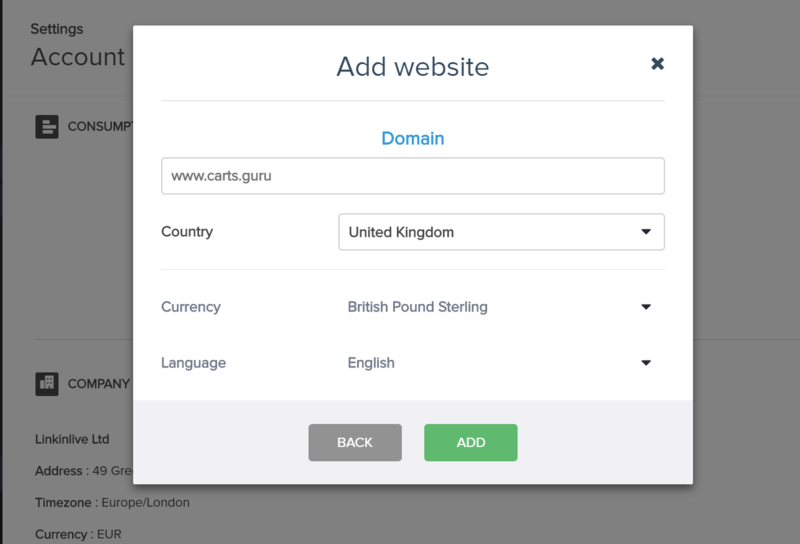 At Carts Guru, our goal is to find the most efficient way for you to manage your multichannel retargeting strategy on a centralized dashboard. In addition, if you have have several websites, we have you covered! Simply add all your websites and manage them in one place. This option is included in the business plan. Adding another store to your current Carts Guru account is free and quick. Simply, click on "Add Website" in the sidebar. Don't hesitate to reach out to customer success if you have any questions regarding your current Carts Guru plan.